Before moving to China for the Beijing International MBA (BiMBA) at Peking University’s National School of Development, Garrett Twitchell spent over 10 years in the US Navy. One summer, after graduating from the US Naval Academy, he travelled across China, and incidentally visited Peking University during the Beijing leg of his trip. Unbeknownst to Garrett at the time, he’d soon be back and fully immersed in China. Garrett’s MBA journey would culminate in getting a job at Lenovo and, alongside the company’s CEO Yang Yuanqing, meeting with Rupert Murdoch in his Las Vegas hotel suite. Why did Garrett choose an MBA in China? “China is a driving force in the world economy, and that’s a fact,” he says. The BiMBA at Peking University gave Garrett a global perspective, and a cultural fluency he would otherwise not have been able to attain. Students in the program are given the full Chinese immersion: what it’s like to live in China and how Chinese business people interact with each other. He says that his class was made up of 70% Chinese and 30% international students, so there was no option but to adapt to the culture. The experience made him more sensitive to international differences. Garrett has a lot of foreign friends who live in New York, and he admits to being more understanding of the challenges they face, particularly around visa sponsorship or their green cards. The National School of Development at Peking University (PKU) is one of the leading think tanks in China. As a result, students in the BiMBA program are also exposed to the latest research emanating from business’ key thought leaders—Garrett explains leading economists often delivered lectures to the class. He was also given the opportunity to undertake a six-month internship with the American Chamber of Commerce in Beijing. After graduation, Garrett began working for a smaller Chinese company, traveling across the country and developing his Mandarin in the process. 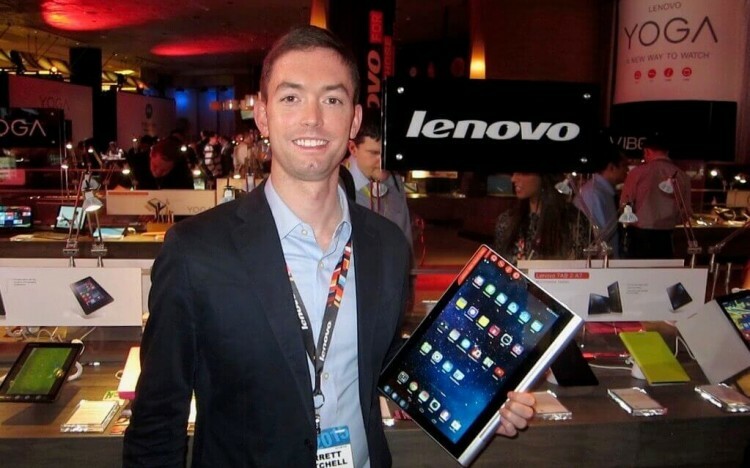 This led to his ultimate goal—landing a job with Lenovo, as the company’s global product marketing manager for their flagship tablet computers. Being one of the few China-based foreigners in the company, five months in he was chosen as a spokesperson, and given the opportunity to attend the Consumer Electronics Show in Las Vegas in 2015. Alongside media interviews, he joined the CEO, Yang Yuanqing, in briefing Rupert Murdoch. He says it was a surreal experience, only made possible by the Beijing International MBA. Today, Garrett works for a fast-growing tech company in New York City. When his company’s international team recently visited from China and Japan, his rich experience in China made interacting and relating with them feel natural. “The soft skills you learn in China are invaluable. When I meet people like the China team now, they recognized I went to PKU and it is an instant rapport builder,” he says.